Olives are soooooooooo gross!!! However, farting while doing gymnastics is AWESOME! wow!! what a bunch of cool artwork!! I especially like "foot"........awesome! 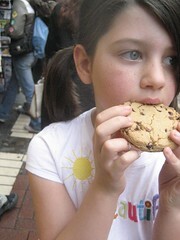 I want to introduce you to my 11 year old daughter Sky.....she and I think your blog is cool! Just a comment from "Uncle Sue"...I think your art work is beautiful. I spent my college years in art classes and I wish I had turned out some of the things you did at what 11? I love them. Keep up the good work, you have a lot of talent. Hey Greer! This is your GREAT Aunt Barby! I am so glad that your mom let me know that you have this blog. It is so great to keep up with some of my favorite family even though you are so far away. My favorite of your artwork is "Sand". I so agree with you that it looks like the sand at sunset. I do love olives and I have grown to like Calimari (the circle squid things) - especially the calimari that I ate in Greece!